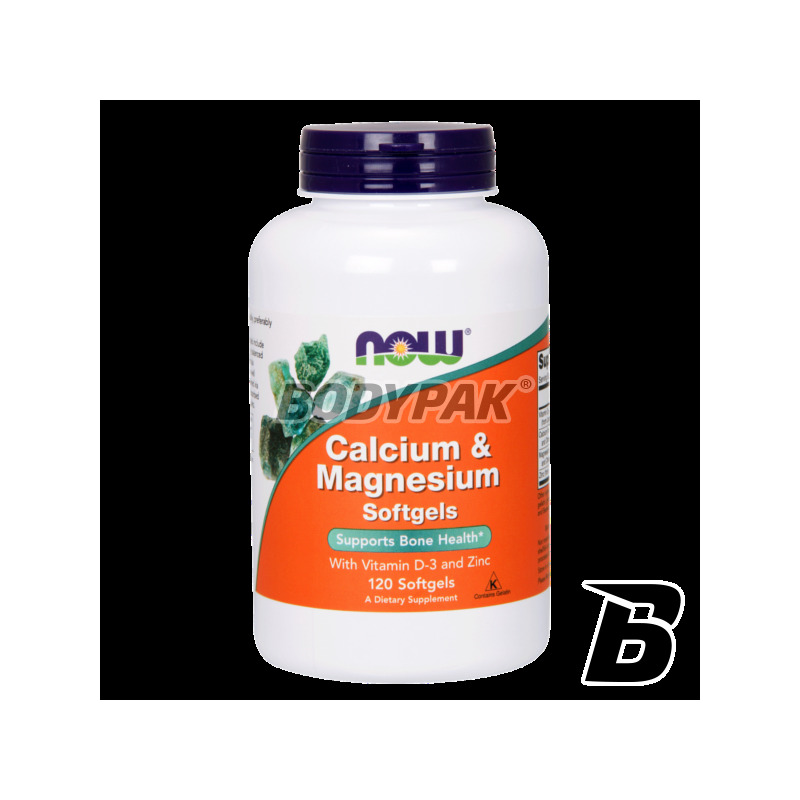 Vitamins & MineralsNOW Foods Calcium Magnesium + D - 120 kaps. 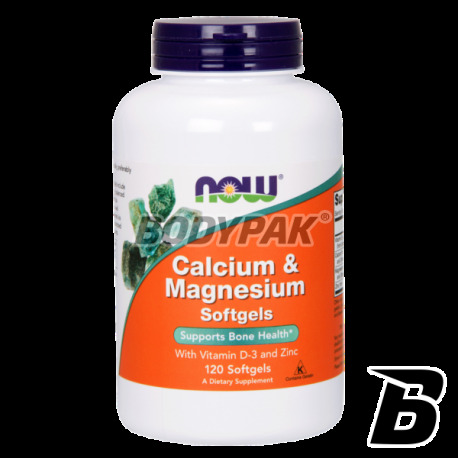 NOW Foods Calcium Magnesium + D - 120 kaps. Our unique formula contains 1000 mg of calcium per serving plus co-factors such as boron, copper, magnesium and zinc. When it comes to bone health, calcium itself is not enough. Our unique formulation contains 1000 mg of calcium per serving plus co-factors, such as boron, copper, magnesium and zinc. All these components are incorporated into the structure of bone strengthening them and preventing osteoporosis. Especially recommended for people over the age of 35 years of life- particularly demanding prevention of bone and teeth, and having problems with bone fragility.